The Lilly Pulitzer company has long been known for being the pink and green queen of Palm Beach. With their Fall 2013 line, however, they’ve opted for an entirely different look. The overall palette welcomes saturated jewel tones over rich textures. Lace details and intricate patterns rest on playful peplum ensembles. Fans of original Lilly pieces won’t be disappointed either – the collection pays tribute to the classics with butterfly motifs and tons of color. While you might not have pre-ordered any of the pieces, you can use these preppy ensembles for inspiration for your back-to-campus wardrobe. Below, I’ve created several outfits inspired by the Lilly Pulitzer Fall 2013 catalog looks. Scroll down to see them all! Photo Credit | Click to enlarge. 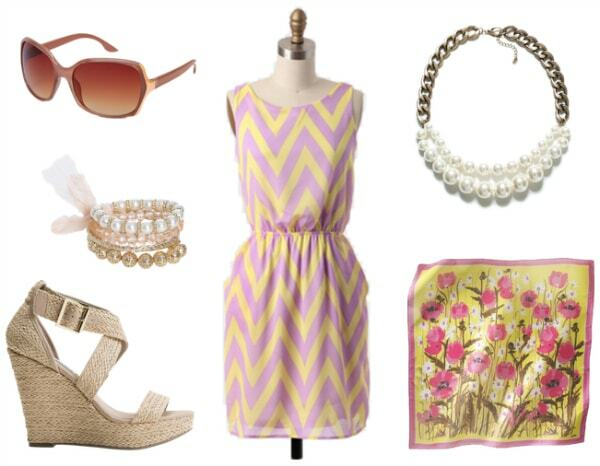 Put a classic twist on the chevron trend with this polished ensemble inspired by one of Lilly’s new looks! Wear a colorful zig-zag printed dress with a pair of neutral wedge sandals. Add a pearl statement necklace and matching bracelet stack to the mix, then tie a square scarf around your wrist for a fun twist. Slip on some oversized sunnies to complete the outfit. Add a pop of pink to your wardrobe with this bright and bold look. Pair a fuchsia pink blazer and blouse over black lace shorts. Wear with gold metallic flats for a chic and comfy feel. Finish this daring outfit with pearl jewelry accents. Opt for a minimalistic, yet feminine aesthetic in this all-white outfit. 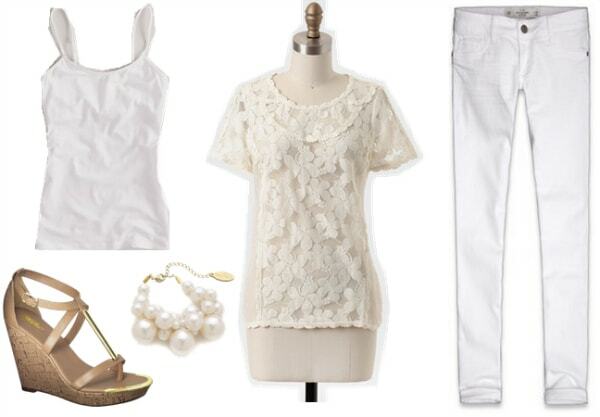 Wear a sheer lace top over a cami, and slip on a pair of white jeggings to continue the monochromatic look. A pair of wedge sandals dresses it up, while a pearl cluster bracelet adds a bit of a statement to this simple ensemble. Put a modern twist on an LBD in this black lace dress. Wear with strappy sandals for a classic appeal, and grab an oversized metallic clutch for a trendy vibe. Finish off the look with a pearl cluster necklace and link bracelet. Step out for errands in a playful printed dress in a pretty shade of mint. 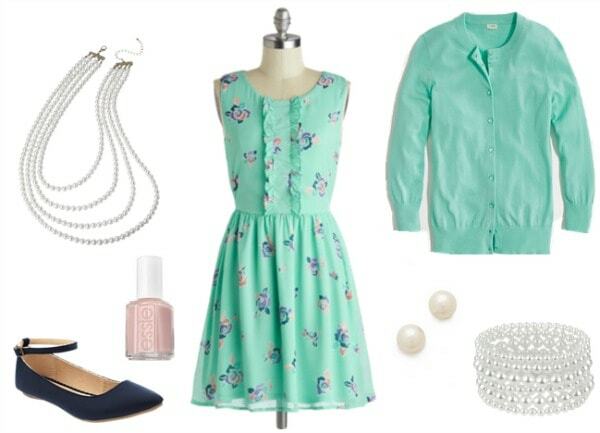 Layer with a matching mint cardigan, then add a pair of navy ballet flats. For accessories, stick with a classic pearl set – necklace, bracelet, and stud earrings. Complete the soft and girly look with a swipe of blush pink polish. Are you a fan of Lilly Pulitzer? Would you wear any of the looks above? Which outfit is your favorite? Would you like to see more posts like these in the future? Let me know in a comment below!